Soon it’s going to be that time of year when people exchange gifts and spread the festive cheer all across the country. A gift represents an idea, a thought to show that you care about the recipient. But what qualifies as a gift – something that is interesting to the receiver or something that will give them plenty of hours of joy? Or is it something that they’ve craved for a long time? 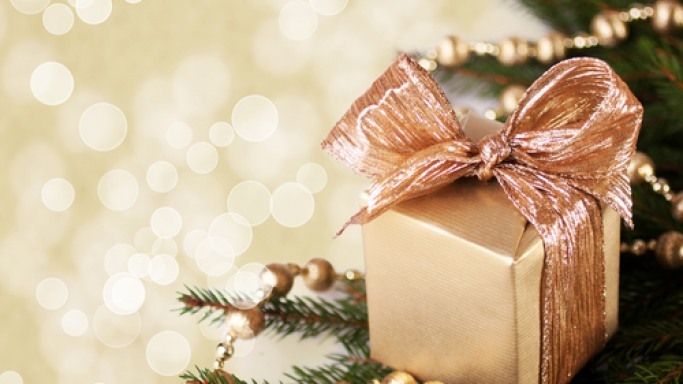 This is a tough question to answer, but one thing is for sure – a good gift is never forgetten. It could be something as small as a penny (which has emotional/sentimental attachment), or a bouquet which may last only a week, but forms indelible memories. This year, a generous bank account can help you gift some unique and truly incredible memories, be it a rare automobile, an unforgettable adventure, fashion accessories or something to satiate artistic tastes, this guide has got you covered. How about gifting that friend who needs a caffeine shot to start their day, a Starbucks gift card with $50 on it? Well what is the enduring memory formed here you may ask, how about presenting your friend with a Swarovski crystal embedded Starbucks gift card? 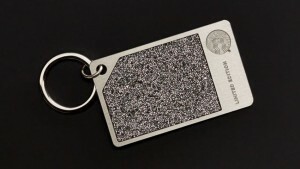 Yes, for $200 you can get a stainless steel Starbucks Card decorated with Swarovski crystals which will have the words “Limited Edition” boldly engraved on it. This card, which also doubles as a keychain, will carry $50 that can be spent at any Starbucks outlet and will be every coffee drinker’s dream. 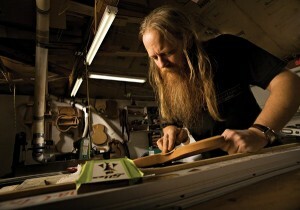 The Steve Miller made by the master luthiers at Bolin Guitar. The Lyle Lovett handmade by the Bill Collings, colleague of Lyle Lovett. The Billy Gibbsons designed by the rock guitarist by modifying the 1961 Gibson SG. Each of these guitars will be designed to suit the playing style and music of the artiste and can be gifted for a price of $30,000 each. So whether it’s the blues, blues rock, a blend of folk, swing, country, jazz or psychedelic rock, you can find the guitar to suit. What makes this gift unique is that the guitar will be handed over by the artiste himself at a backstage show of the musician’s concert! To talk about this fantastic trunk we first have to talk about Iris Apfel. 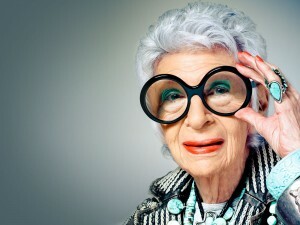 For those of you who haven’t seen the biopic Iris, Iris Apfel is a 93 year old fashion icon. She ran a textile firm with her husband, which took them around the world. Iris mingled business with pleasure and acquired exotic artisanal clothes. Her fashion style has earned her a Metropolitan Museum of Art Award retrospective in 2005. The Iris Apfel for Bajalia Trunk of Accessories is filled with 272 pieces of handcrafted jewellery, scarves, handbags and unique vintage pieces that are sourced from artisans around the world. Included in the gift is a lunch and personal lesson from Iris on the topic that is dear to her heart, style. All of this is available for $80,000. For those worried whether her sense of fashion is current or not, it would be useful to note that in 2013 she was listed as one of the fifty best-dressed people over 50 by The Guardian! Now for those who just aren’t interested in land-bound journeys, here is something literally out of this world. 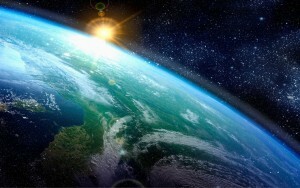 For the small price of $90,000 per person, one can enjoy a drink of wine above the Earth’s atmosphere. This adventure begins with a trip to the Miraval Resort in Tucson, Arizona in 2016, where the recipient will be a part of the team that conducts a test flight of the World View’s Biosphere 2. The adventure will continue in 2017 when the participants will be taken up in the luxurious Biosphere 2 above 99% of Earth’s atmosphere where they can admire the curvature of the Earth while enjoying a generous refreshment bar. For all you fans of science fiction, this may not be a meal at, The Restaurant at the End of the Universe, but it’s as close as you can get right now. The Orphan Barrel is a project to rescue orphaned barrels filled with forgotten whiskey. These barrels are collected from old distilleries and Rick Houses which are then treated as extremely precious commodities. For $125,000, a lucky group of six will be able to visit the famous Stitzel-Weller Distillery in Louisville, Kentucky, where they will search for more whiskey, while also tasting recent discoveries. They’ll also have the opportunity to create two bourbon variants and will have unique labels created for them. In addition to all this, these people will also be able to take home 24 bottles each of the 8 Orphan Barrel variants and the variants they create. The surprise ends with a bespoke cabinet to showcase the collection and the stories of the whiskey presented in a leather-bound book. Yeah, you read that right! Keanu Reeves, Hollywood’s A-list action movie star and Gard Hollinger, motorcycle-manufacturer extraordinaire believe they have captured the true riding experience in the KRGT – 1. This is the first production motorcycle to come out of their company Arch Motorcycle Company. Crafted from the same material as aeroplanes (very literally) and tucking the power of 121 horses between your legs in a V twin engine, this motor bike was designed to be an experience. It will come with custom racing trim and performance suspension setup. And what is the use of passionately designing a bike if you don’t enjoy it yourself right? So Keanu Reeves and Gard Hollinger will join the lucky biker on a two day ride along the California Coast. This high octane experience comes at a price of $150,000, which includes the hotel expenses and airfare as well. India is the land of mystery, spirituality, spices and Bollywood. The land, that was forged out of 562 princely states and home to 1721 languages, this alluring country has a rich cultural diversity which is woven into its very fabric of existence. 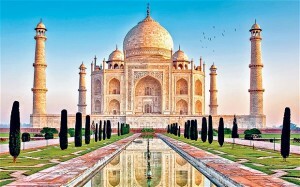 This year, a lucky couple will be able to travel to India on a trip curated by O’Harani Luxe Experiences to the unforgettable city of Delhi, the jaw dropping monument of love, the Taj Mahal, the majestic Pink City of Jaipur, the wondrous Udaipur and the bustling city of Mumbai. This 12 day journey will include everything from trips in private planes and vintage cars, dinners with royalty, private cricket lessons, private dance classes by Bollywood choreographers to a personal Bollywood style dance video and dinner with Bollywood stars. You can get all these memories and more for a grand value of $400,000. This year’s Victoria’s Secret fantasy bra is out, and at a price of $2 million, it’s appropriately fireworks themed. Angel, Lily Aldridge, walked the ramp with this fantasy bra that was designed by jeweller Mouaward. It costs more than some celebrity mansions, and with 6500 genuine gems used in its design, it took 685 hours to make. The gems used on this work of art include extremely expensive blue topazes and yellow sapphires. While this isn’t the most expensive Victoria’s Secret fantasy bra ever, the 1364 carats of gems used definitely make it a spectacular sight.